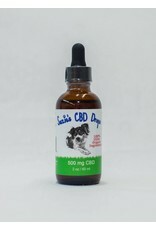 Suzie’s hemp oil Drops offer a great way to get higher doses of hemp oil to your pet for longer periods of time. 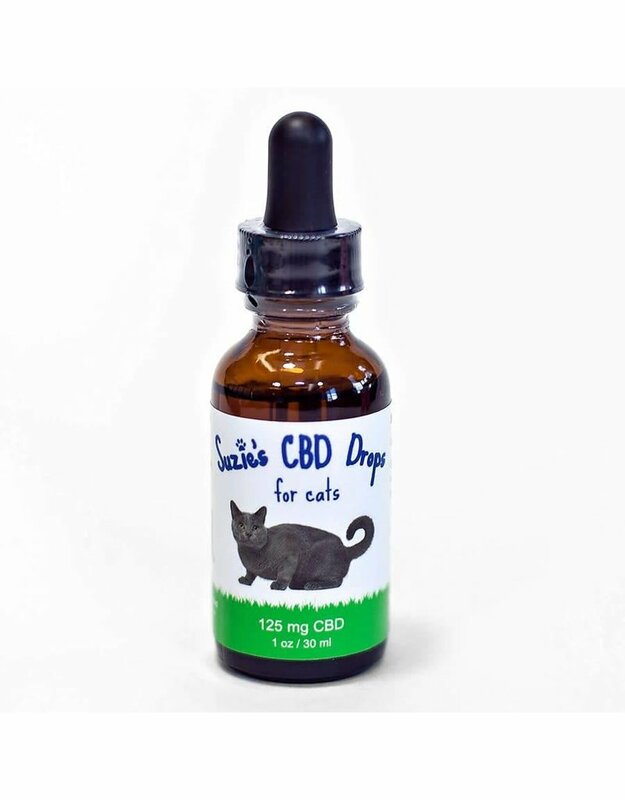 Suzie’s hemp Drops for Cats offer a nice low dose per dropper perfect for our smaller, but still loved, feline friends. 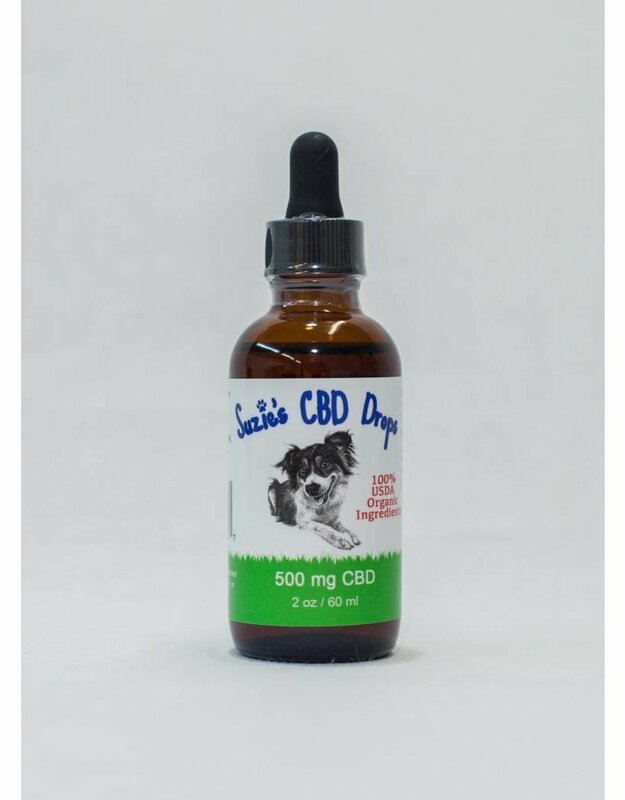 With 125 mg of hemp oil mixed with Coconut Oil MCT this dropper is easily administered directly under the tongue or on top of your pets favorite food. With 3 mg in a full dropper, we recommend you experiment with half a dropper and monitor results and find what works best for your companion. 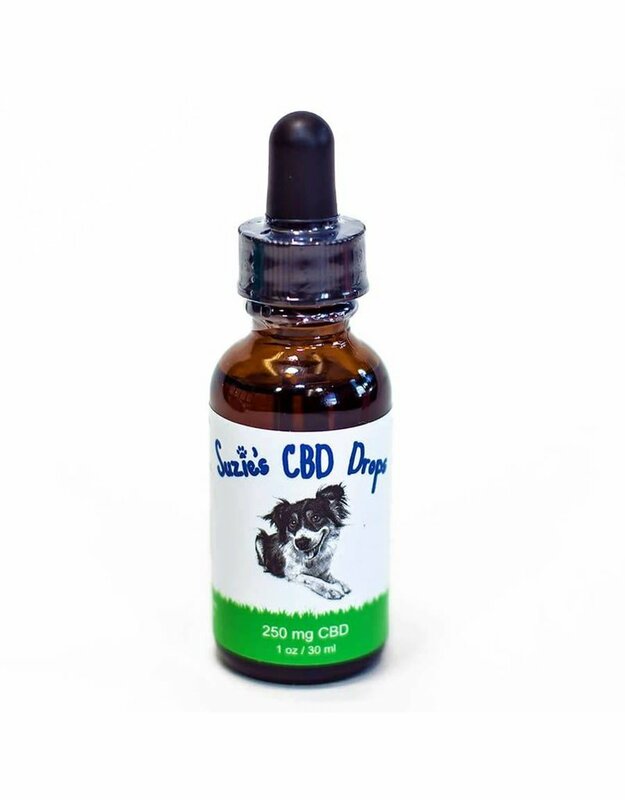 Suzie's hemp oil is also offered in 250 mg or 500mg sizes mixed with Coconut Oil MCT this dropper is easily administered directly under the tongue or on top of your pets favorite food. What is Hemp Oil and how can it help animals thrive? Cannabidiol is most commonly referred to as CBD which is a naturally-occurring, non-psychoactive phytocannabinoid derived from hemp. All animals, including humans except for insects have an endocannabinoid system packed full of receptors from head to toe; endocannabinoids produced naturally within the body bind to these receptors to regulate functions. Phytocannabinoids are simply cannabinoids present within plants as apposed to the endocannabinoids produced within animals. By encouraging phytocannabinoids to bind to the receptors in our body we can assist in regulating functions; from natural plants we can find an organic, natural way to provide balance to the body. There have been 85 different cannabinoids discovered so far, but the two most abundant as well as most studied are THC and CBD. As many people know, THC-Δ9 is what is responsible for the high that certain strains can produce. CBD and THC are two entirely seperate chemical compounds that have very different effects on the body and mind, however the misconceptions about hemp oil continue because of its association with Cannabis and THC. 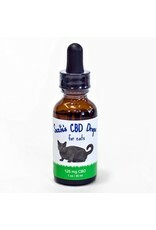 Again, hemp oil is non-psychoactive and causes no mind altering effects; all of Suzie's hemp oil products are lab tested to ensure the levels of THC are under 0.3% by volume. Many people wonder how we “take the THC out”? This is an excellent question with a simple explanation. There are over 2,000 strains of Marijuana sold in the state of Colorado each touting a unique flavor, smell, and effect. These strains all originate from the same plant but years and years of cross-breeding by genetics experts has resulted in a plethora of different strains. Well, while most people were trying to maximize THC yield at all costs, a select few forward thinkers saw the potential in Cannabidiol and focused their efforts on doing the exact opposite of what everybody else was doing: minimizing THC content while figuring out how to retain the highest possible amounts of hemp oil. Our close partners at the farm have worked relentlessly to find “the needle in the haystack” strain that produces an incredibly pure hemp oil rich in terpenes but with trace amounts of THC left, far under the legal limit of 0.3%. Cannabidiol is an incredible substance that still has far more research that must be done to unlock its true potential. 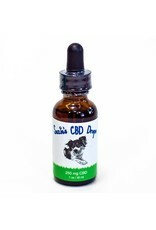 We appreciate your interest in Suzie's hemp oil products and thank you for taking your time to educate yourself. These statements have not been evaluated by the FDA and are not intended to diagnose, treat or cure any disease. Always check with your veternarian before starting a new dietary supplement program. *Cannabidiol is a natural constituent of hemp oil.